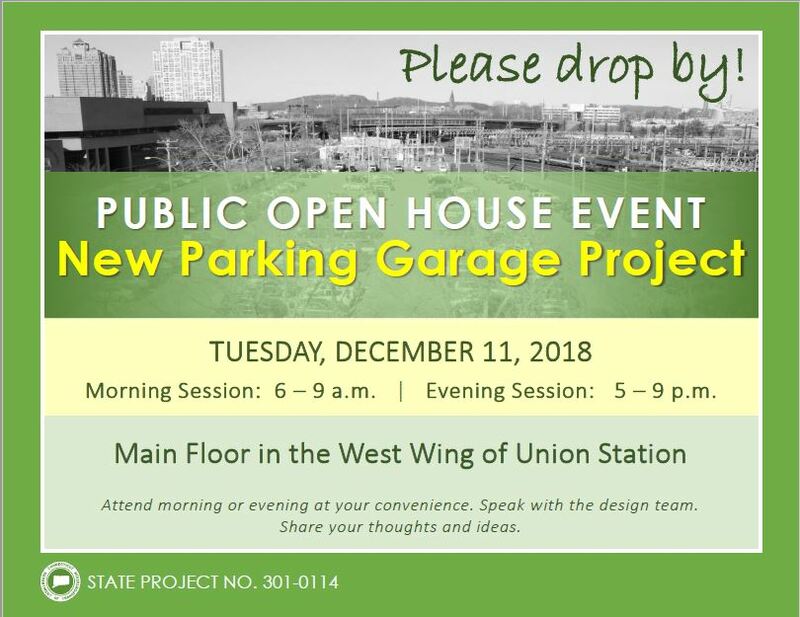 There will be a public open house event on Tuesday, December 11, 2018, to discuss the New Parking Garage Project at Union Station. Please feel free to attend the morning or evening session at your convenience. Speak with the design team. Share your thoughts and ideas.